The Association recognizes that marketing a community is an integral part of the economic development profession, therefore provides. The Marketing Canada Awards competition as an opportunity to exchange and review promotional and marketing material produced by municipalities across the country. This awards program is open to those organizations that undertake to promote and market Canadian provinces, territories, regions, cities, towns and areas with a view to improving the economic well-being of Canadians. 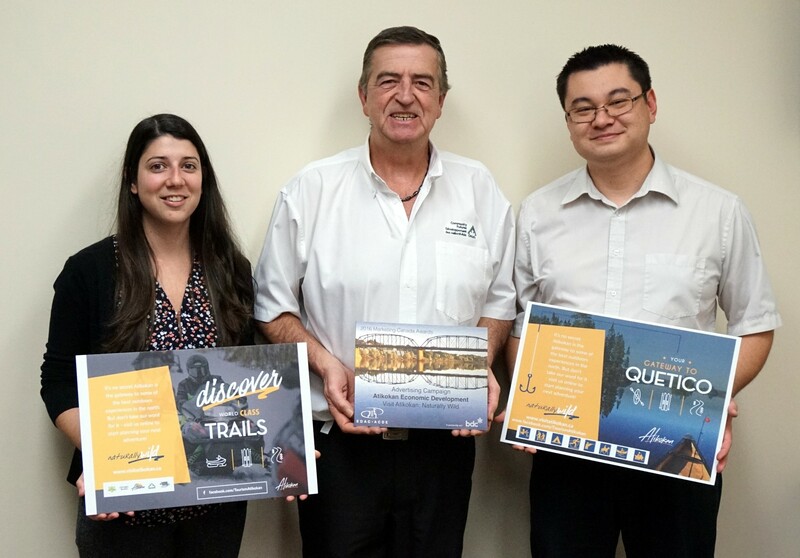 AEDC’s Katie Hannon, Garry McKinnon, and Gord Knowles displaying a Economic Developers Association of Canada (EDAC) 2016 Marketing Canada award for their work with Tourism Atikokan, along with some of the winning advertisements. The award was given out during the EDAC Annual Conference in Regina, Saskatchewan in September 2016.